Experience the cultural and scenic diversity of the American Southwest. Our trip explores Native American cultures, both past and present, in New Mexico, Arizona, and Colorado. Expert archaeologists accompany our daily visits to some of the region’s most famous archaeological sites. Join us in Albuquerque for a welcome reception at the Sheraton Albuquerque Airport Hotel. We’ll visit the ruins at Coronado State Monument and then see the Conservancy preserve where Coronado and his men wintered in 1540. 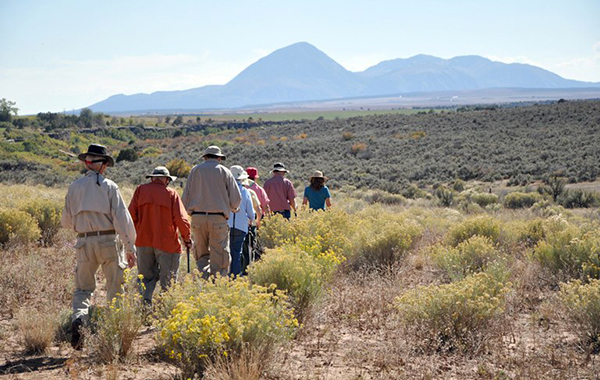 We’ll follow Coronado’s trail to Pecos, where we’ll explore the pueblo and Spanish mission site at Pecos National Historical Park. We’ll spend three evenings at the Hilton Santa Fe, located near galleries, shops and restaurants. 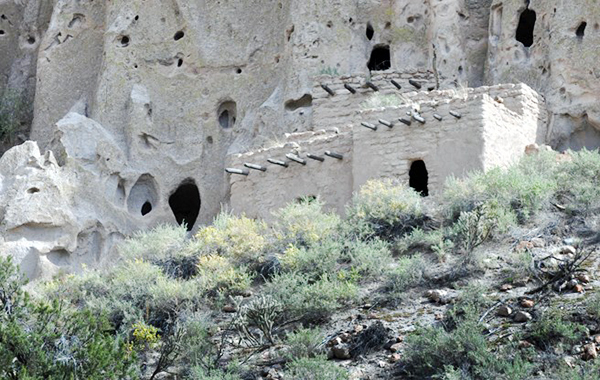 We’ll spend most of the day at Bandelier National Monument touring its cliff dwellings. We’ll also visit San Ildefonso Pueblo, famous for its black-on-black pottery. An optional morning tour is scheduled at the Palace of the Governors, which was built in 1610 and is the oldest public building in the country. Today it houses a museum detailing the city’s history. We’ll spend the afternoon visiting Santa Fe’s museums, galleries and shops. 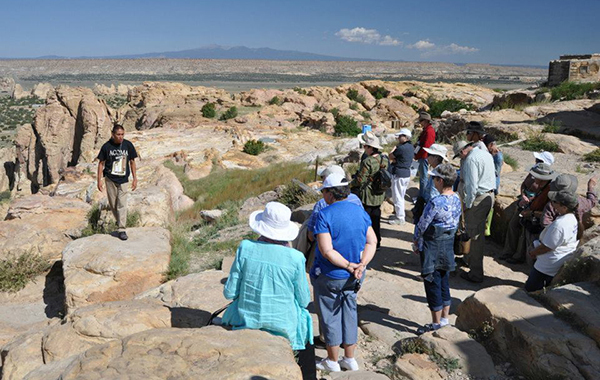 We’ll tour Chaco Canyon, one of the most impressive archaeological sites in the country. Located in a remote canyon, Chaco was the center of a great prehistoric civilization. We’ll visit Pueblo Bonito, Casa Rinconada, and other ruins. We’ll spend the evening in Farmington. In New Mexico, we’ll visit the Aztec and Salmon sites which feature the remains of pueblos that were built by Chacoan people and later modified and inhabited by the Mesa Verde Anasazi. We’ll spend two evenings at the Holiday Inn Express in Cortez, Colorado. 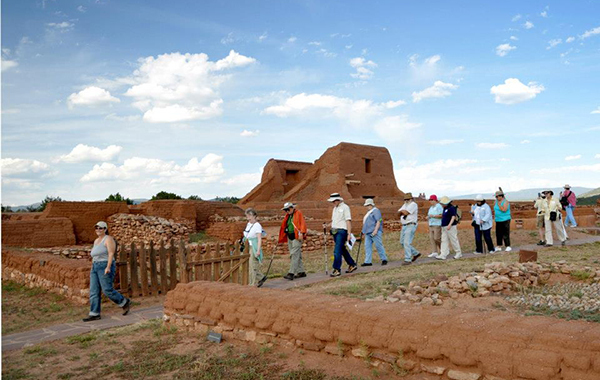 We’ll tour Mesa Verde, including Cliff Palace, Spruce Tree House, and Sun Temple. We’ll travel through the picturesque Montezuma Valley. 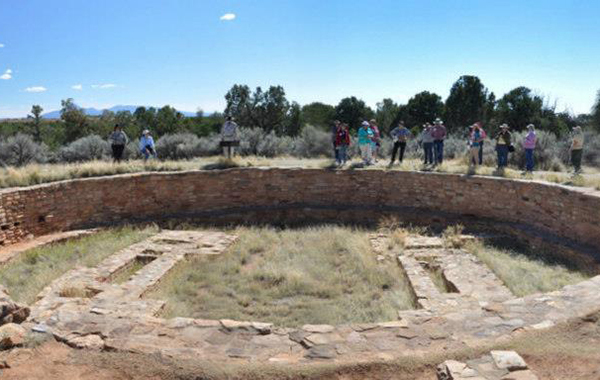 Along the way, we’ll stop to visit the valley’s seldom seen Anasazi ruins including Yellowjacket Pueblo, a Conservancy preserve. 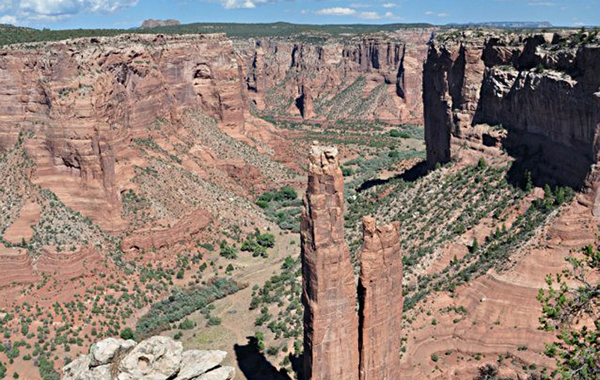 We’ll spend two evenings at the Thunderbird Lodge at Canyon de Chelly in Arizona. We’ll spend the morning on a jeep tour of the marvelous cliff dwellings at Canyon de Chelly National Monument, including Antelope House and White House. After lunch in the canyon, we’ll ride along the rim of the canyon for an exciting view of the ruins. On our way to New Mexico, we’ll stop at the Hubbell Trading Post in Ganado. 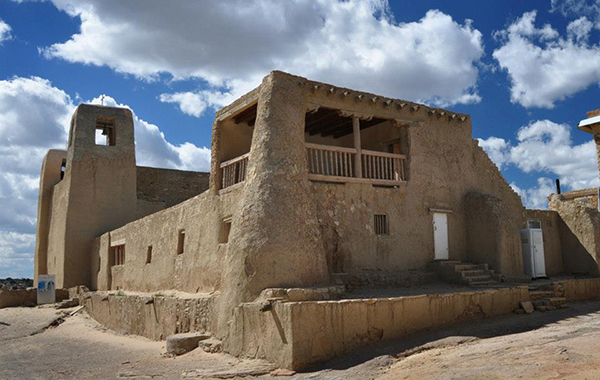 We’ll then travel to the “sky city” of Acoma, a pueblo perched upon a mesa that has been occupied for 600 years. We’ll spend the evening in Albuquerque at the Sheraton Albuquerque Airport Hotel. Cost includes first-class hotel accommodations based on double occupancy (single supplement is $480), lunches, happy hours, expert Conservancy and special guides, admittance fees, tips, tours, orientations, background reading, and surface travel via air-conditioned bus with restroom. Not included are meals other than lunches and travel to and from Albuquerque. NOTE: The tour is at altitudes of 5,000-7,000 feet. People with respiratory problems should consult their physician. People unaccustomed to higher altitudes sometimes experience fatigue and dizziness. A modest amount of walking is required. Some cliff dwellings are accessible only by ladders.